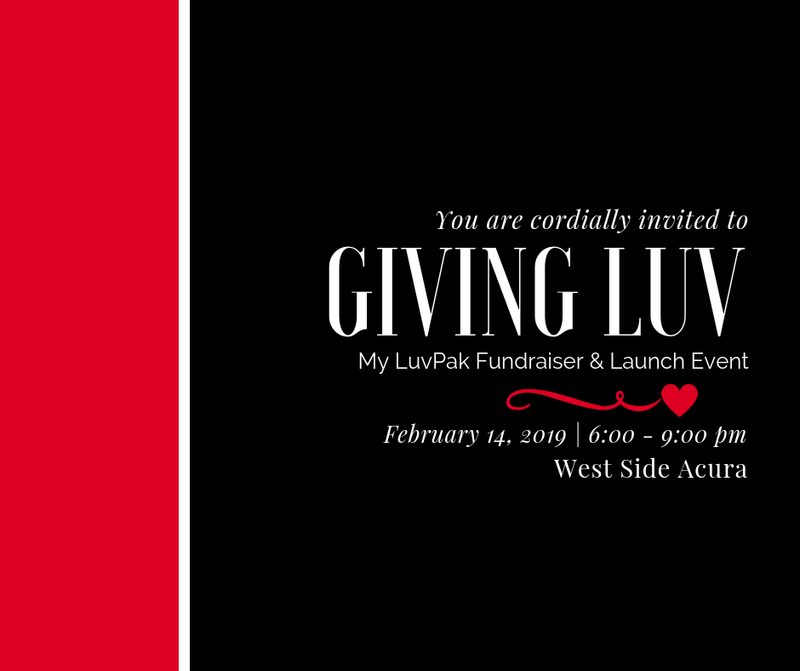 This Valentine’s Day we are turning the tables on tradition, instead of standard gifting practices, we are asking that Edmontonians choose a gift that gives back by joining us at the Giving Luv | My LuvPak Fundraiser & Launch Event. Each year approximately 5,800 kids in Alberta must be rescued from threatening home situations. These children frequently enter foster care with nothing of their own, often transporting what little they have in a garbage bag. My Luvpak's aspires to provide joy, hope & comfort by presenting a Luvpak filled with belongings to call their own.